Last month, BT made Cornwall a little bit faster: it gave fifty people internet access at speeds of up to 40Mbps as part of a roll-out that will reach 80% of UK homes by 2014. 40Mbps sounds impressive, and it was - in 2005. That's when Asian ISPs were upping speeds to 40 and 50Mbps or higher, and it's taken quite a while for us to catch up. By the time the average UK consumer gets 40Mbps broadband many other countries will be on 100-plus - and because BT's fibre doesn't reach our homes and offices we'll still have the same "up to" nonsense that makes the UK's broadband adverts so confusing. British broadband is rubbish. 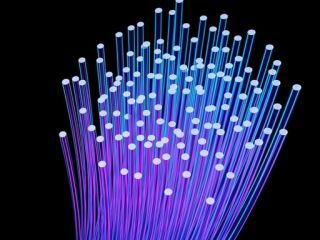 The average UK broadband speed is just 6.2Mbps, Ofcom says, and while faster options do exist they aren't widespread - so for example Virgin's 100Mb service is only available to one million homes, and BT's roll-out can't deliver 100Mbps until we have fibre-optic connections from the cabinets in our streets to the sockets in our homes. Akamai's most recent State of the Internet report rated us 17th in the world for broadband. Akamai reckons our average speed was even lower than Ofcom's number - it says we're averaging 4Mbps - while the world leaders, South Korea, averaged 14Mbps. Hong Kong was second with 9.2Mbps and Japan 8.5Mbps. These figures are averages for the entire country, taking into account both urban broadband and slower rural services: when it comes to cities with fast broadband, the UK didn't make the top 100. The undisputed leader of fast broadband is South Korea, whose cities enjoy peak broadband speeds of around 57Mbps. So why are they so far ahead, and what could we do to catch up? "The Korean question is an easy one," says Trefor Davies, founder of communications provider Timico and council member of the Internet Service Providers Association, ISPA. "Most people live in densely packed multi-tenant dwellings such as apartment blocks, which makes it easy and far more cost effective to serve them with high speed, fibre-based connectivity. A 1-gig fibre connection to an apartment block can easily be distributed as 100Mbps or more to each apartment." Oliver Johnson of broadband analysts Point Topic agrees. "South Korea is a little unusual," he says. "Dense population concentration and relatively high numbers of people per household mean that it would be theoretically easier to make a return for a commercial deployment - although that said, it's unlikely it would be quite so ubiquitous today without government intervention." Given that BT is already rolling out Fibre to the Cabinet (FTTC), couldn't it do the last mile to homes and businesses while it's at it? The technical answer is yes, but the economic one is no. "This is a straightforward business case issue," Davies says. "It is cheaper to supply Fibre to the Cabinet than Fibre to the Premises, especially in rural areas where the cost of digs and wayleaves can be very high. BT is in the business of making money... this is quite unfortunate for UK PLC, because I think it is in the national interest to go 100Mbps everywhere rather than the - initially - more cost-effective 40Mbps." Don't think of 40Mbps as a step towards 100Mbps, Davies warns: think of it as BT telling you not to hold your breath. "The people who are now euphoric because they're getting FTTC will have to wait a very long time before they get 100Mbps," he says. "BT will want to wait for that investment to be repaid before spending any more money in a specific area."